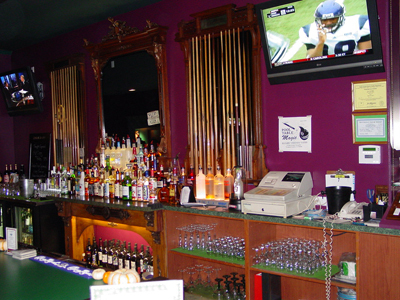 Our bar is stocked with quality, name brand beverages. Plenty of beer, both on tap and in bottles. 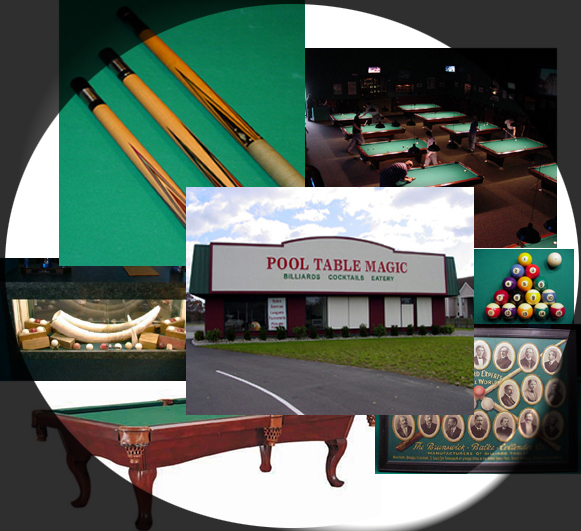 The bar is an open flowing green counter with a vintage rosewood pool table rail top complete with sight dots. 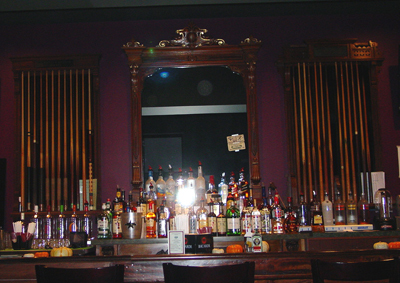 Behind the bar, is a mirrored bar back flanked by two turn of the century vintage cue racks set with vintage cues. Food service is also available at the bar.